IF THIS IS AN EMERGENCY, DON'T HESITATE. PLEASE CALL US NOW. We are proud to be able to provide the surgical services of board certified Veterinary Surgeon, Dr. Jitender Bhandal, here at Central Animal Hospital on a referral basis. Surgical services available include Tibial Tuberosity Advancement (TTA) and Tibial Plateau Leveling Osteotomy (TPLO) surgeries, fracture repairs and oncological surgeries. Some conditions and emergencies require immediate answers. We have a variety of sophisticated lab machines that we can use. We can do a Complete Blood Cell Count using our CBC machine. This can tell us information about the number and types of cells in the blood. Many conditions alter these from normal. We can also do a variety of “chemistry” panels that can tell us if some of the major organs in the body are affected by a condition. We do some cytology (examining cells in the microscope) where we can take small amount of tissue, exudates (pus), discharges (ears), and put them on a slide. After staining we can often isolate the problem. While in-house lab is convenient and quick, it is somewhat limited. Our outside lab partner is much more complete and most of our samples are sent to an outside lab. Many results are returned in 24 hours. We are the only gold standard cat friendly practice in the Okanagan . All surgeries are done under sterile conditions. We make sure that pain is addressed before, during, and after each procedure. All our patients are monitored very carefully using sophisticated equipment. All our patients are kept warm using heated blankets. 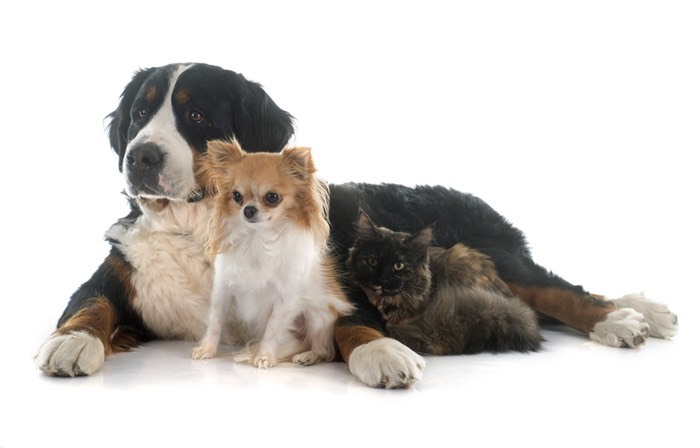 While it is true that there is an inherent risk with any anaesthesia or surgery, here at Central Animal Hospital we take special care to minimize these risks. We do this by making sure that in addition to a thorough pre-anesthetic assessment of the patient we monitor the patient’s vital signs very carefully throughout the surgery, which include respiration rate, heart rate, blood pressure and tissue oxygenation levels. We like to have all of our surgical patients on intravenous fluids, which helps to stabilize blood pressure, hydrate the patient and gives us venous access at a moments notice. A registered animal health technician is assigned to each patient and monitors the patient very closely, taking care to watch both the patient and the electronic monitors throughout the surgical procedure.